In stock. Order in the next 1 hour, 40 minutes and it will go out today! Two sticks are displayed, each having strings and pom-poms hanging from an end. When a string from one stick is pulled, the string from the other stick other goes up (and vise-versa)! 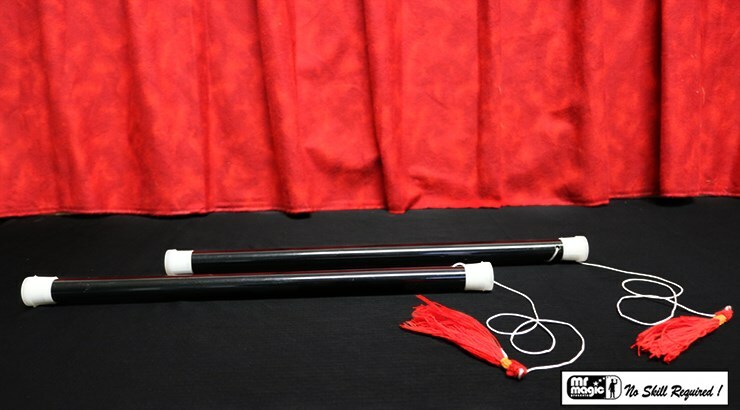 The spectators are convinced that the two wands are connected. To their amazement, you pull them apart and show them they are not!